Nice one matey. It'll allow plenty of scope for adding your own mods, (again), with it being standard too. Be hoped you don't mave a mid-life crisis with this one too though. Cool, you & vince in your own little gang. Who needs a smoky, loud diesel anyway. 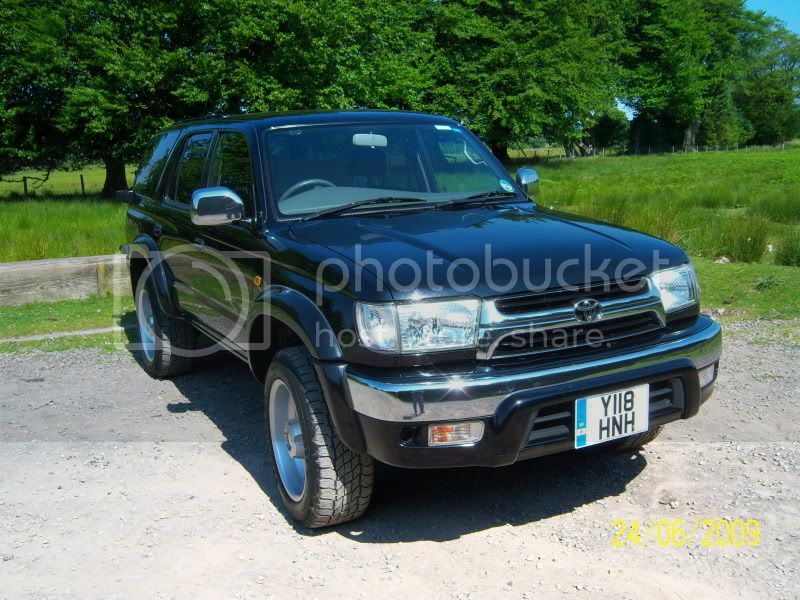 Hehe, not as new as Vinces (his is a facelift dontcha know), but its not done many miles and looks very clean. No more cam belt paranoia either, as its chain driven. Welcome back old fruit. I've ridden in vinces ( jo's really) and it's a real nice motor. You're a raving transvestite, I presume? Indeed. Keep your voice down!!! Soz, I'm worse than a fishwife for gossiping! Have amended my post, perhaps you could do the same with yours? Have amended my post, perhaps you could do the same with yours? To whoever amended Apaches post, thanks a lot, I've now got to clean blurted coffee from my screen and keyboard! Ours is a facelifted facelift! Sorry, done some Photobucket housework. Its looking a bit tatty vince, i don't even need my sunglasses to look at it now. Those wheels are too cool for school Vince. Not standard surely? Funnily enough I took a look at where I need to go on Google Streetview, and about 100 yards from the seller is a Transsexual Shop! No, the shop isn't transsexual, but they sell wares for transsexuals. You can kill 2 birds with one stone mate. Nope, they're 9X18 that I bought from a forum member, £100 for five!. They're now wearing GG2s. I sold the standard alloys to Diezel weazel.